Consider a full-time investigative project supported by $65,000 in salary for nine months, plus travel and housing stipends. 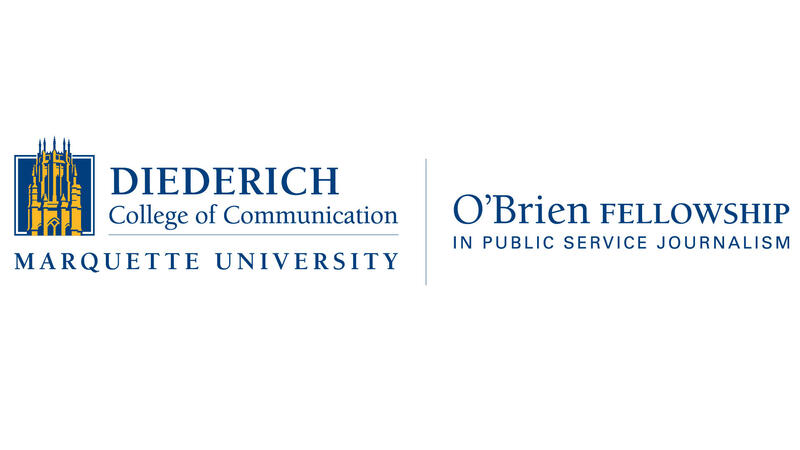 The O’Brien Fellowship in Public Service Journalism takes applications from Dec. 1 - Jan. 25 for the 2019-’20 academic year. Reporters from around the country have used the O’Brien Fellowship to produce great investigative projects annually since 2013. Their journalism has examined deaths of mentally ill inmates in America’s jails, overlooked stumbling blocks facing schools, exploitation of undocumented workers, national homicide trends, a failed mental health system, the dangers of diacetyl, climate change, and more. Reporters take up residence in Milwaukee, travel as needed, and write from offices in the O’Brien suite in the Diederich College of Communication at Marquette University. They are supported by student researchers, the Milwaukee Journal Sentinel, and faculty. For more information see the O’Brien website and contact O’Brien Director David Umhoefer via email (david.umhoefer@marquette.edu), text (414) 550-3893 or phone (414) 288-5956. Applicants must have at least five years of professional experience and produce journalism regularly as an employee or freelancer. Applicants may have experience with newspapers, radio, television, online publications, film production, wire services, or magazines of general interest. There are no academic prerequisites. * A stipend totaling $65,000, with health insurance and benefits if the fellow’s employer does not provide them, or if he or she works as an independent journalist. * An allowance of up to $8,000 for travel, technology, research and equipment for project-related expenses. * A residency allowance based on family requirements for fellows moving to the Milwaukee metropolitan area. * A moving allowance between $2,000 and $4,000 depending on family size and distance. * A proposal to produce a rigorous, multimedia journalism project with the potential to have major impact, and investigate and explain how individuals and groups can identify responses to social problems. * The ability to complete the project during the fellowship, and integrate Marquette students as part of a reporting team. * The capacity to ensure the greatest possible exposure for the reporting once completed. An advisory committee consisting of distinguished journalists and Marquette faculty and alumni will review all applications. The committee will offer recommendations to the dean of the College of Communication for final selection.